« Halloween Checklist Reminder: Don’t Forget Pet Parades! My mom took 5 measurements: A–from my neck to my tail; B–from my neck to just over my eyes; C–around my neck; D–around my belly; E–between my eyes. 6) Fold fabric in half. About half way, draw in a half a circle for the ears and cut out. 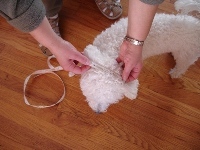 14) Glue a little piece of elastic to hold the hood in place. Where you glue will depend on the shape of the dog’s face. 15) Glue a piece of ribbon on the outside gather. Leave enough material to make a bow. 16) Cut velcro as follows: Half of measurement D plus 1.5″. Pull apart. Glue to the inside. Follow the instructions on 13 above. This will go around the dog’s belly to keep cape in place. 19) And when in the woods…watch out for wolves. 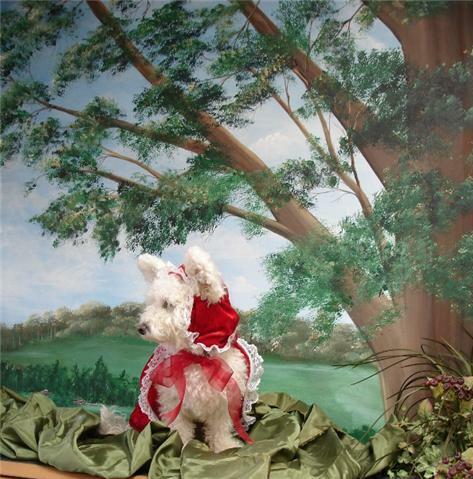 This entry was posted on October 27, 2008 at 3:39 am and is filed under costumes for halloween, Halloween Dog Costumes You Can Make!. You can follow any responses to this entry through the RSS 2.0 feed. You can leave a response, or trackback from your own site. Thanks for the tutorial! I am going to make this for Halloween! Thanks for the kind letter! I’m glad you’ll be making this for Halloween! Send me a picture! thanks for this! I am making it for my chihuahua. I’m going to try to add a little blouse and corset underneath, hope it turns out ok. Now I need a big bad wolf costume for my other dog. That sounds lovevely, Susana! 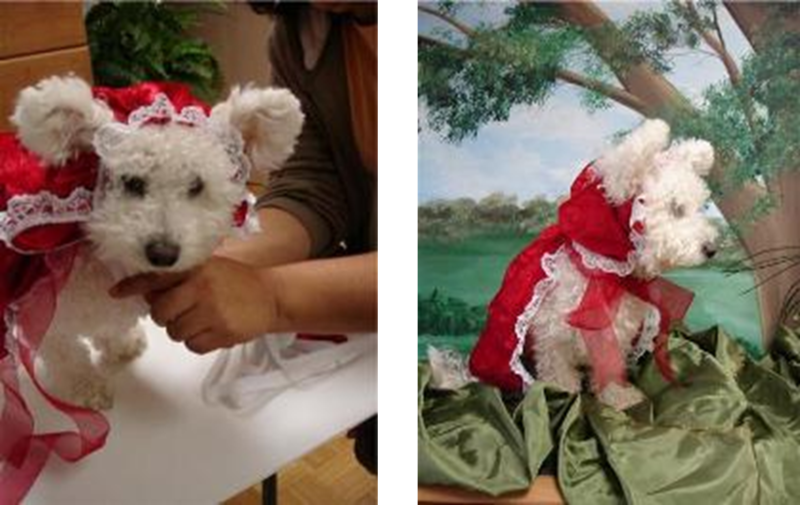 Your chihuahua will look pawnstastic as Little Red Riding Hood!